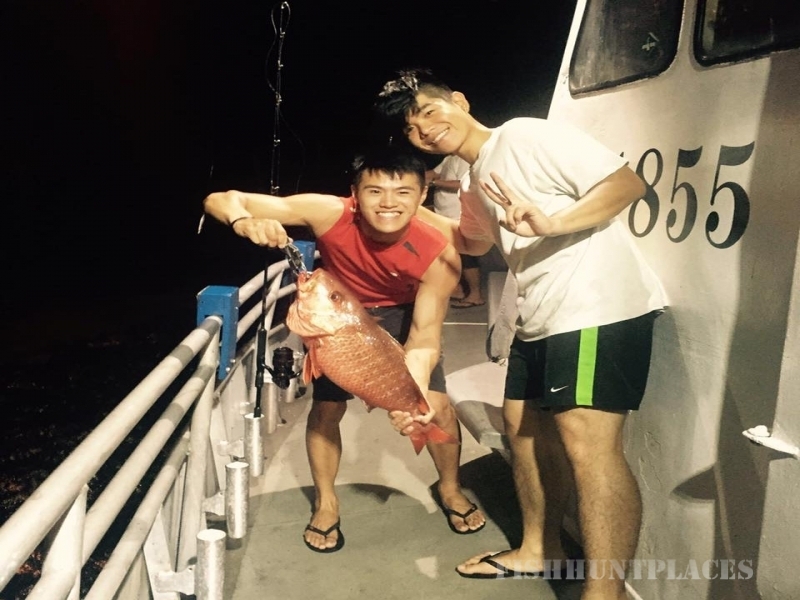 Hong Kong’s excellent location brings outstanding fishing within range making your trip a memorable one. Our boats can accommodate groups of 1 to 30 guests (52 inshore) for any special occasion, all with comfort and an assurance of quality. 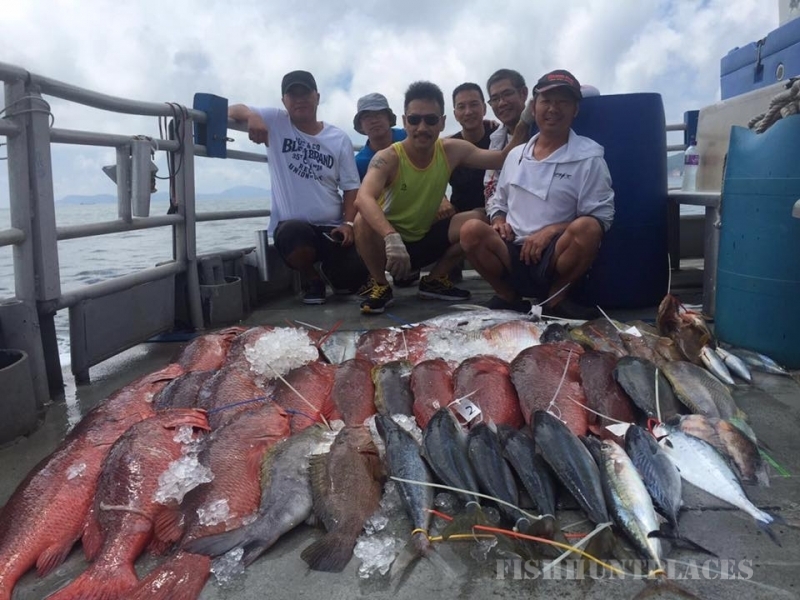 It is a well kept secret that the South China Sea offers outstanding fishing opportunities for the recreational fisherman. 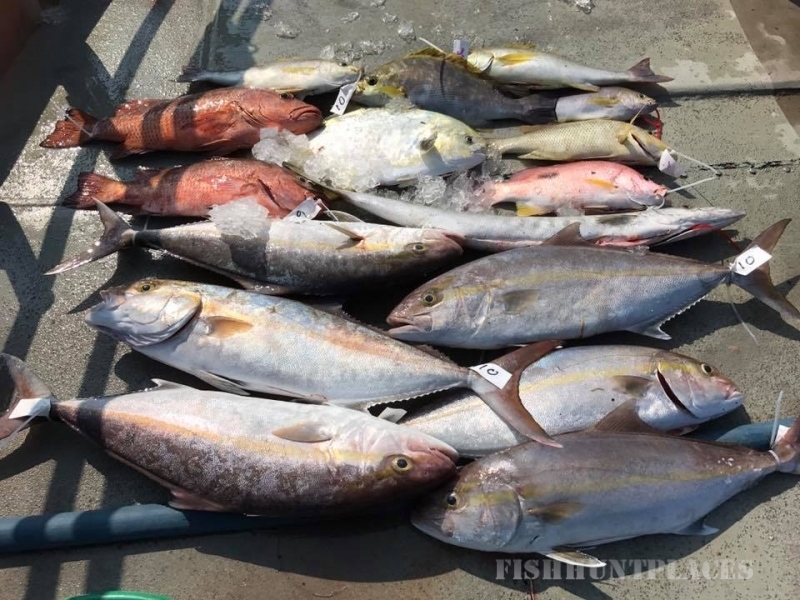 Local waters produce, assorted varieties of Grouper, Snapper and Tuna including Yellow Fin. 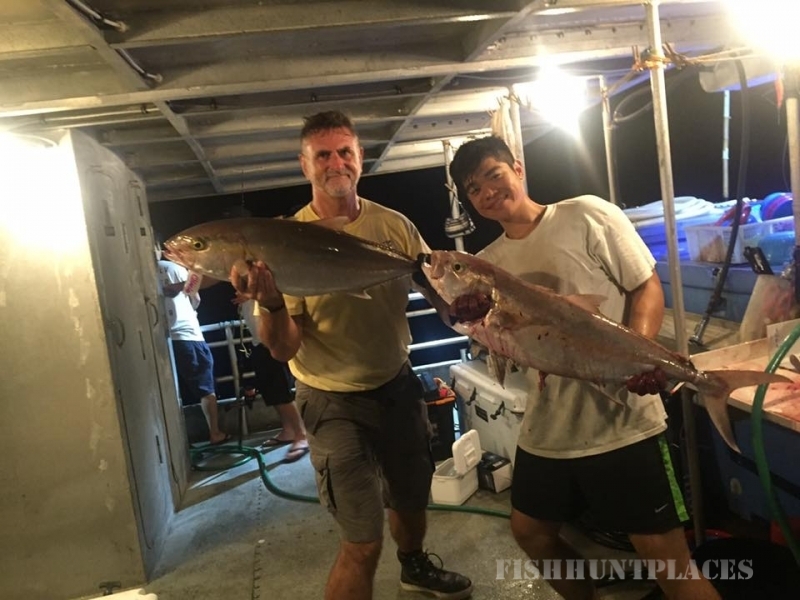 Other regulars are Amberjack, Mangrove Jack, GT, Wahoo, Barracuda, Mahi Mahi and Chicken Grunts to mention a few. Even the occasional big game such as Marlin and Sailfish show up to add to the excitement. Constant squiding is a great favorite. *Charterers can discuss and we will advise on trip options to style trips target particular species. Memorable trips on our outstanding boats is our goal, no matter if a few hours or multi day. Safety, comfort and our guests’ enjoyment are the foremost priority. Experienced skippers licensed by the Marine Department command and run our boats. In addition to local safety regulations we fitted our boats with safety equipment under the S.O.L.A.S. (safety of life at sea) standards to give you confidence to relax and focus on enjoying your trip. Listed below are some of the benefits and packages offered. If you have something special in mind for your group, please contact us and we will be happy to accommodate your needs. The main purpose of all trips is to provide table fare for the fisherman. 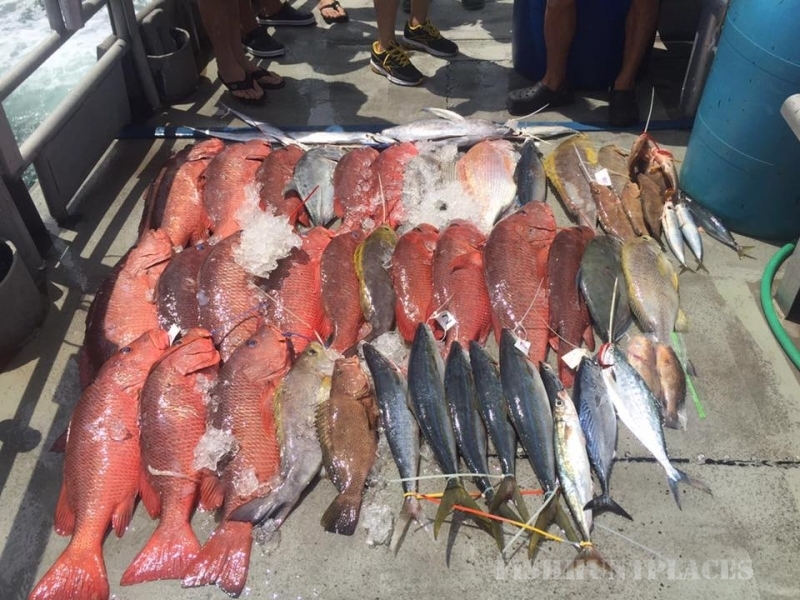 The northeast monsoon season—–October to March—–is the time for inshore fishing within the protection of our islands while the southwest monsoon season——March to September—–is the best time to go offshore. Inshore fishing including squidding is available twelve months a year.